What a great day to be on the water. Shoals Area Crappie hosted a tournament on Pickwick Saturday and what a beautiful day it was. 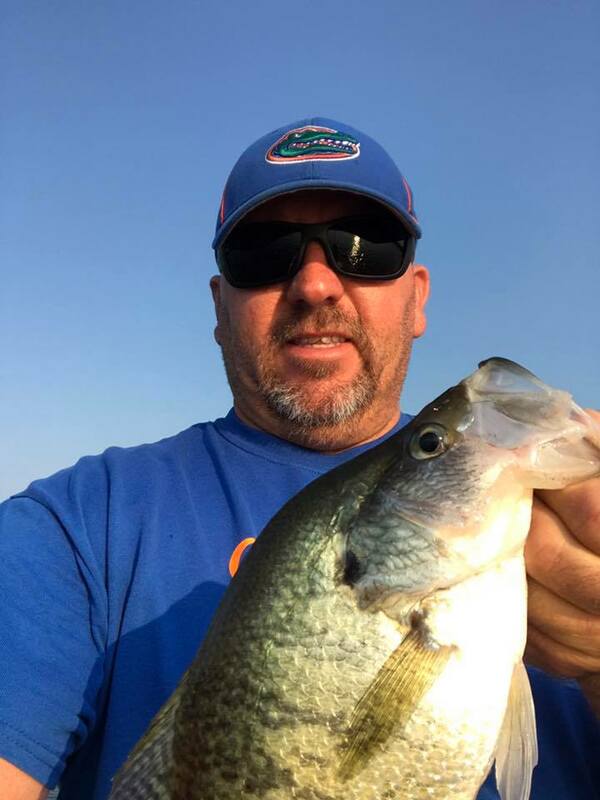 Ole Joe Lambert had been posting pictures of some Pickwick slabs the last few weeks and he brought 7 good ones to the scales yesterday that weighed in at 7.45lbs to take 1st place - Way to go Joe. Jimmy and David McCarley, as usual when I talked to David Friday they had not done any good at all, but as bad as they said it was they took 2nd with 7 fish weighing 7.34lbs with big fish for the day at 1.32lb "Sand-baggers"
3rd place went to Darrell and Keith with 7 fish weighing 7.24. Top 3 Teams were pulling crankbaits with B'n'M Rods spooled with Vicious Linein varying depths of water. Good job guys and thanks to all the teams for another fun and safe tournament and a big welcome to our newest members Neal and Lynn Quinn, good to have you fishing with us.